When it comes to analyzing the phenomenon of digital government, the overwhelming focus is on the most developed nations in the world, and Western countries in particular. However, Kazakhstan, a post-totalitarian country, has also proved to be successful in the development of e-government. 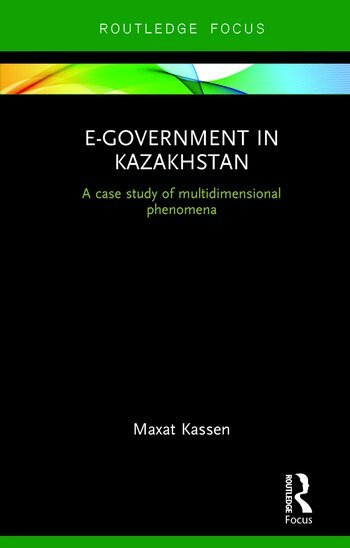 This book analyzes e-government development in Kazakhstan from a multitude of dimensions, including, but not limited to, political, social, economic and technological platforms. It examines the adoption of a wide range of technology-driven public sector projects and identifies the key drivers, challenges, regulation policies and stakeholders of e-government reforms in this transitional society. Taking into account recent changes in governance, such as the development of mobile government, the rise of civic engagement and the open data-driven movement, and the overall formal progress of the e-government project, this book addresses the emergence of new challenges and concerns associated with the advancement of the e-government concept. Furthermore, it suggests that a universal framework can be applied when investigating e-government projects in the developing world. Offering a wide range of practical recommendations on how to overcome the problems associated with e-government development, this book will be a valuable resource for anyone wishing to improve their understanding of the multidimensional nature of e-government. It will also be of key interest to academics studying Political Science, Development Studies, Public Policy and Central Asian Studies. 5. Open government in Kazakhstan: a tentative touch of participative democracy? 6. E-participation and civic engagement in Kazakhstan: a political or technological dimension of e-government? Maxat Kassen is Associate Professor at the Eurasian Humanitarian Institute, Kazakhstan. His research focuses on studying the impact of new information technologies on domestic politics and international relations, especially in analyzing the e-government phenomena, globalization of the open data movement and transformation of the political communication channels.